General objective of this article is to discuss and explain how to Grow Taller through Exercise. This article is a health awareness related. Exercise is an essential and effective method to mark a few extra inches with a short frame. Eating a healthy diet is also essential, but it should be combined with exercise. There are particular exercises that can assist you increase your height effectively. They focus on this legs and spine. 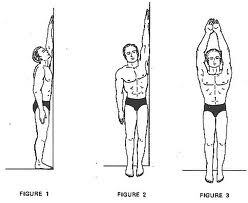 Doing these exercises regularly can help increase height.